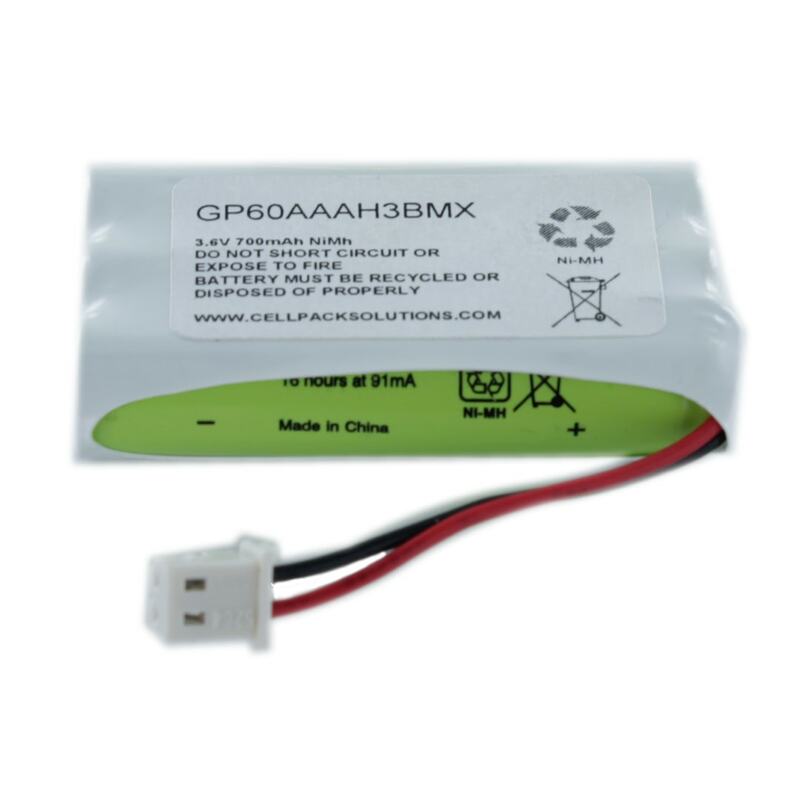 The GP60AAAH3BMX is a 3.6V, 700mAh NiMH cordless phone battery known as the GP60AAAH3BMX or GP70AAAH3BMX. It is commonly used in the Dualphone Internet Skyphone. Due to the difficulty of finding this battery we have made our own version and this is at the higher capacity of 700mAh, please note the connector can vary between different models. Please check against your old battery.